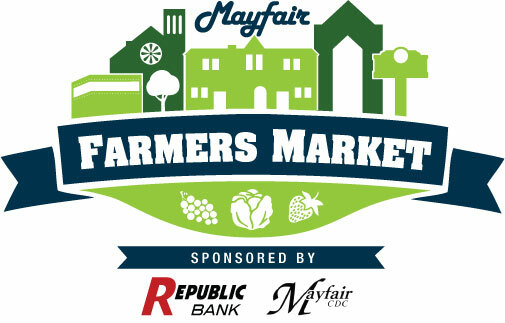 Philadelphia, PA, July 17, 2012 – The Mayfair Community Development Corporation is thrilled to announce that they are partnering with Republic Bank in the formation of the Mayfair Farmers Market. Additional partners in this endeavor are the Mayfair Civic Association and the Mayfair Business Association to ensure the participation of local MBA members. The Mayfair Farmers Market will kick into full gear in 2013 from May to October with a farmers market to be held every Sunday. In anticipation of the full-time 2013 kick-off, two introductory days will be held on Sunday, September 23, 2012 and Sunday, October 14, 2012 so neighbors can get a taste of what to expect starting in the spring-summer season 2013. The Mayfair Farmer's Market will spring up from May to October on Sunday afternoons from 9 am to 2 pm at the intersection of Frankford Ave and Ryan Ave. A portion of Ryan Ave will be closed off during market hours. About 8-10 vendor stalls providing locally grown, farm-fresh organic produce, local honey, specialty meats and cheeses, baked goods and artisan breads and other specialty foods will be present at the Mayfair Farmers Market as well as several members of the Philly Mobile Food Association. Pre-approved neighboring businesses, who are current members of the MBA, are also encouraged to set up a table to sell their goods as well. Additionally, When Randy Wolfe, store manager of the Mayfair Branch of Republic Bank and MBA member, heard of the possibility of a Farmers Market essentially opening on their doorstep he encouraged Republic Bank to step in as a corporate sponsor. St. Marie stated, “In the past year Randy and his staff at Republic Bank have been major contributors to several Mayfair events including the Mayfair-Holmesburg Thanksgiving Parade, the Mayfair Memorial Playground Easter Egg Hunt, The Mayfair Fallen Heroes Run and the Mayfair May Fair. They truly care about this community.” Adds Katie Michaleski, VP/Marketing Manager for Republic Bank, “Republic Bank is committed to supporting the communities we serve. We are excited about the Farmers Market coming to Mayfair and know it will be great addition for our community”. Mayfair Civic Association Communications Secretary, Mia Hylan and St. Marie have been working closely on the recruitment of unique outside vendors and with the Philly Mobile Food Association (PMFA) for the Farmers Market. “Andrew at the Philly Mobile Food Association has been great in helping us with offering advice and coordinating their members. The PMFA have very unique members and a wide selection of food available. We're looking to have about 2 trucks present during the September and October launch and then have a rotating selection of trucks starting next year on a weekly basis in addition to all the other wonderful vendors. This is a great opportunity for neighbors to sample different types of food that may not be available on the Frankford business corridor and hopefully choose some favorites.” says Hylan. Bambies by the Bay is this Saturday, July 21, 2012. 1-5pm at Lighthouse Pointe, Wildwood, NJ. All Bambies and Friends of St. Hubert are invited! Both Under 21 and over 21 are welcome to attend! We are so excited to celebrate not only our past and present, but our FUTURE as well with our fellow Bambies, family, and friends! Mr. Dave Schafer, Mr. Ed Cox, Mr. Joe Anhalt, Mrs. Marianne Burpulis, and Mrs. Mary Reil are just some of the faculty members who will be celebrity bartending throughout the afternoon! To purchase tickets in advance for $25, head over to St. Hubert Catholic High School for Girls' main office. The bus leaving from St. Hubert Catholic High School for Girls to Bambies by the Bay is FREE. You MUST make a reservation for the bus by calling Marie Smith at 215-932-6302 or email at subsmith7@att.net . Those who already paid for the bus will be refunded their bus fee. You will still need to purchase a Bambies by the Bay ticket either in advance at school next week for $25 or at the door for $30. Space is limited so reserve a bus seat today! Please see below the bus stop's that the shuttle bus from Lighthouse Pointe will be making this Saturday for the Bambies by the Bay event. This bus is for those people that don't want to drive over to Lighthouse Pointe. Please share this information with your Bambie friends and family and post to share on your face book also so that we can spread the word about the transportation. 2nd and NJ- Anglesea Fire Station on the left. . Caldwell Banker Realtor on corner on the right where stop will be. 22th and NJ- Bank of America on the right-- Wildwood- NJ and Wildwood Avenue. WAWA on the right and the Lions High Rise Apt complex. Tonight, on the one year anniversary of last year's rally, close to 150 neighborhood residents showed up to rally against the opening of the Healing Way Methadone Clinic at Frankford and Decatur. The event was MC'd by Mayfair Townwatch President Milt Martelack. The event was kicked off by its first speaker, Mayfair Civic Pres and Mayfair CDC Chairman, Joe DeFelice, who explained the current status of the case, the briefing schedule for the Court hearing and the plan of action going forward including the establishment of a defense fund should an appeal take place as well as a field plan to distribute literature relevant to the Appeal. DeFelice stated that case had been appealed from the ZBA and that a "Briefing Schedule" had been laid out by the Court that gives a date for the ZBA to issue its findings and produce a record, then roughly 30 days later the Healing Way will have to issue a Brief why they should prevail, then roughly 30 days later the Appellees (us) will issue a brief why we should prevail then roughly 30 days after that, November 5th (but that could change) there will be Oral Argument before the Court of Common Please where DeFelice stated that we should load up the busses again. He also highlighted the creation of a legal defense fund in the instance we are unsuccessful and need to appeal to Commonwealth Court. 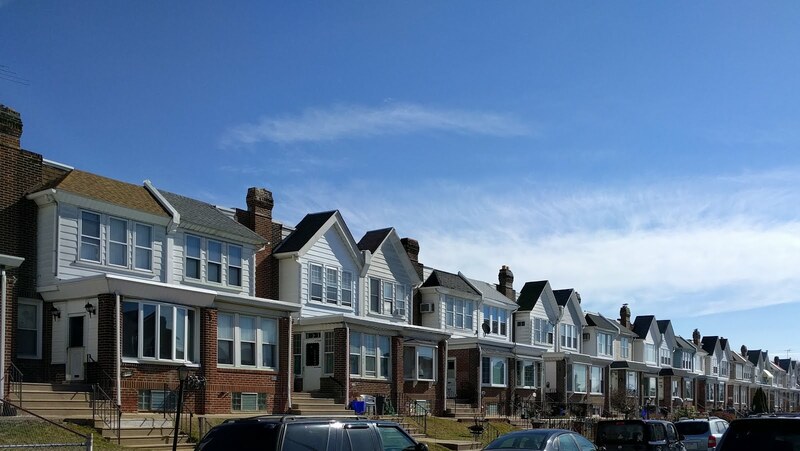 This fund, which is now accepting checks payable to Mattioni Limited, referencing 7900 Frankford Ave. with a mailing address of 399 Market St, Suite 200, Philadelphia, PA 19106-2138. A donation of $10 per household was requested. 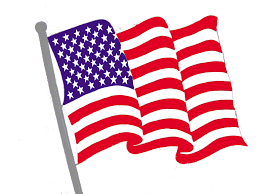 It was noted that we will not be soliciting door to door donations to avoid the potential for a scam. DeFelice then introduced Richard Frizell, the newly elected President of the Holmesburg Civic Association, who cut his vacation short to be, who announced that they plan on fighting this to the very end and that this does not belong in our neighborhood and we should all reach into our pocket and pull out that $10 per household and make it happen. Next up was City Councilman Bobby Henon who reaffirmed his committment to seeing this through and battling this clinic till the end. Councilman Henon is also an Intervenor in the lawsuit and will be present in each stage of hearing going forward. State Rep Kevin Boyle took the platform next and vowed to continue the fight he started over a year ago. It was Kevin's office who first notified the community that this venue was slated for opening. He was supported by his fellow State Representative John Sabatina who stated that while not in Mayfair or Holmesburg his District is close enough and that he had successfully fought a clinic in his District several years earlier. The event was closed down by the law and order of the Lower Northeast, Tacony/Holmesburg Townwatch President Joe Niccoletti and Mayfair Townwatch President Martelack who spoke about how this type of business would ruin the quality of life in the immediate community. DeFelice retook the stage to close out the meeting and stated that these people don't care about your neighborhood. They spend their time in Richboro looking down their noses at our Community. He reiterated the importance of fighting this and raising money at which point Councilman Henon put up his hand and pledged $500 to the fund which was immediately seconded by State Rep Boyle. Not to be outdone, both State Rep Sabatina and Chamber of Commerce Chair Taubenberger also threw put their hands in their pockets and committed $500 as well. This was followed by a generous donation of $200 by the Living World Church, $100 by the Mayfair Business Association, the Mayfair Townwatch and $100 by the Mayfair Civic Association. bringing the total of pledges to $2550. Other guests that came to show their support were newly elect Greater Bustleton Civic League Chairman Jack O'Hara, Fox Chase Neighbor Jerry Rocks, Holme Circle's Joe Razler and Mike Gould, NE Quality of Life Chair Barbara Dooley, Ken Bode from State Sen. Stack's office, Karen Gurmankin from US Congresswoman Allyson Schwartz's office and Chuck White President of Teamsters Union Local 830, as well as Board Members of Mayfair Townwatch, Business Assoc, Civic Assoc, CDC including Pete McDermott, Donny Smith, Kevin Leonard, John Jenkins, Mia Hylan, Jim Ortlieb, Anna Stacey, Ken Stacey, Rob Pasco, Joe Conboy & Donna Conboy (who pledged $50), Danny Mills, Lisa Greco, Antoniette Montgomery as well as Kenny Miller who donated the stage (er, pickup truck) and Holmesburg Civic Association and Appellees Melissa Casey from Guppies Daycare, Dawn Parris from 8 Buck Cuts and Patti Vaughn, who did much of the legwork organizing this event and whose home is situated directly across the street from the proposed clinic and countless others. This Demonstration was another example of why Mayfair and the surrounding neighborhoods are great place to live and work and raise a family. Special thanks to neighborhood resident Mike Ennis for his design!! What are the requirements for above-ground swimming pools? Complete a building permit application form and submit a check or money order payable to City of Philadelphia for $32. Prior to using the pool, call the L&I District Office in your area to schedule an appointment at your residence with a building inspector. Do not use the pool until its construction has been approved. A permit is required for all above-ground pools 12 feet or greater in maximum dimension. The pool, accompanying structures, and equipment must not be located in the front or side yard, nor within two feet of any property line or structures on the lot. The pool may have an access platform of up to 50 square feet included as part of this permit. the required guard rail around the platform must be at least 36" high and may have a maximum opening of 4'. Pool water must be properly treated and free of scum, debris, and foreign matter. Discharge water must not create a nuisance to an adjoining property. SAVE THE DATE....The Friends of Father Judge Inc. invite all Alumni and supporter s of Father Judge to attend “Crusaders@ Keenans” Summer 2012 Reunion. Enjoy some fun in the sun while catching up with old friends and classmates. -tickets can be purchased in advance in the Main Office of Father Judge during school hours. Exciting news - we are shooting for the "soft launch" of our Mayfair Farmer's Market at Cottman and Frankford. Tentative dates are September 23rd and October 14th. We have met with MFA (mobile food association) about having two trucks there weekly along with 5-6 typical market type vendors and 4-5 local food vendors to blend what our neighborhood has to offer with what the region has offer. We have already received many suggestions as to the types of vendors people would like but we want to open the discussion to all of you. We are planning a seating area, small musical acts, and a few arts and crafts vendors come the official launch of our weekly market next April but we want to get the centerpiece businesses right first. So fire away with your suggestions. 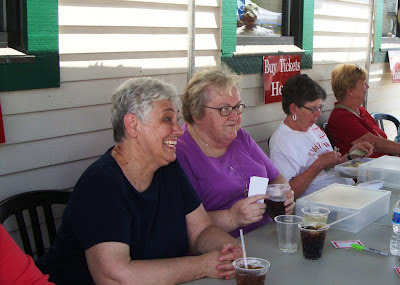 St Matthew Parish and School will be hosting its Fourth Annual RIDE THE TIDE Reunion for all alumni, parishoners and staff on Saturday, July 14, 2012 from 3:00 to 7:00 PM at Keenan's Irish Pub in North Wildwood! We will be on the Big Patio at Keenan's as well as inside so weather will not be an issue either way...$30 per ticket will again include both bottled and draft domestic beers, wine, soda, hamburgers, hot dogs and salads. RESERVE YOUR ROOMS EARLY - HOTEL ROOMS SOLD OUT VERY QUICKLY FOR OUR REUNION SO DON'T GET LEFT OUT!! MUST BE 21 YEARS OLD TO ATTEND - NO EXCEPTIONS !! Install approximately 295’ of 8’ high 3-rail tubular steel fencing, including (2) 4’ single gates. Pickets will be 1” sq x 18ga tube. Gate posts will be 3” sq x 12ga tube. Line posts will be 2 ½” sq x 14ga tube. All material will have a galvanized coating and black powder coated finish and comes with a lifetime warranty. 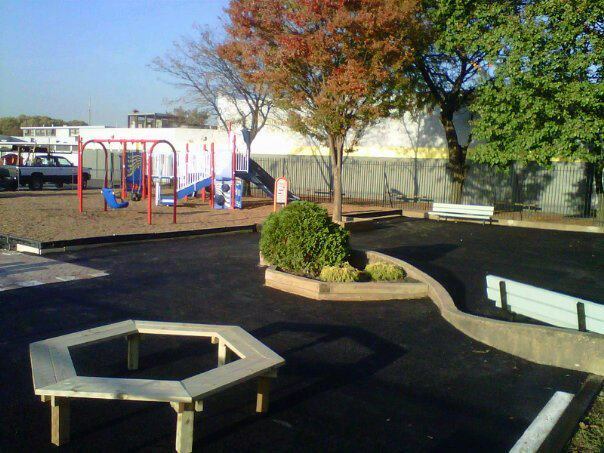 Please submit all proposals (bids) to mayfairmemorialplayground@yahoo.com. Please contact me directly (mayfaircivicassociation@yahoo.com) for any additional information.